On this particular occasion it was my best friends wedding, I wanted to wear something new, something different and there was also a colour theme of pink and I didn’t quite feel I had the right type of outfit at home. My mum and my sister gifted me with this beautiful set from Bee’s for my anniversary and as lame as it may sound I decided to design a suit around it to wear for the wedding. 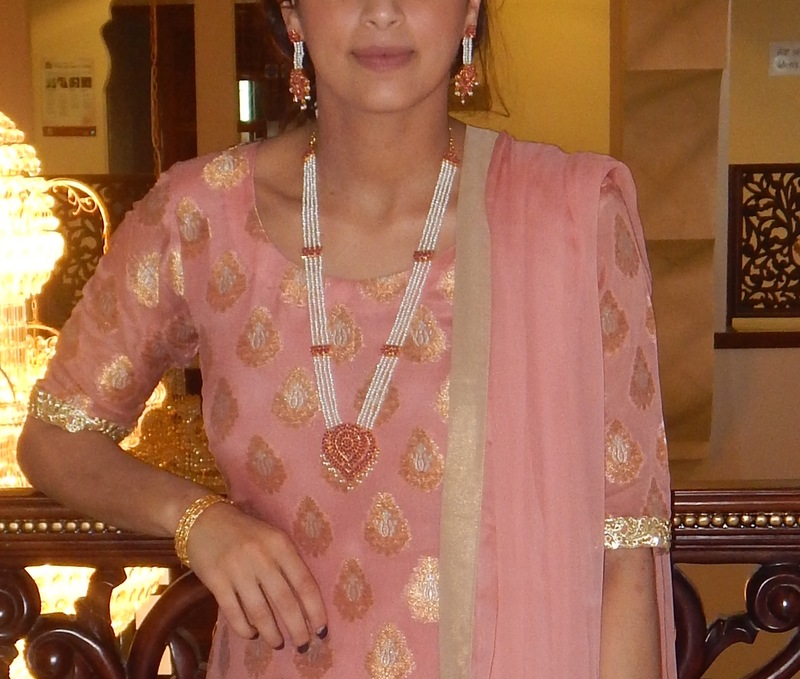 This particular outfit I had made in Pakistan. I wanted it to be a salmon/tea pink colour that is in the necklace and something quite traditional. I went for a straight top/kameez made from jamawar, I had a gold gharara made with it and used this beautiful diamontees border all over!